How many of the following statements do you relate to? If you answered yes to at least 4 of the above, you most likely have some degree of clairvoyance. Clairvoyance is the ability to see Spirit – clairvoyants can see auras, spirit beings, and can receive visual metaphors or symbols which constitute spiritual messages. Many of my students have some degree of clairvoyance, but it is often a latent or repressed gift that requires some development. What do I mean by repressed? Well, some of us are born clairvoyant, but we often lose it as we grow up, because of social conditioning or even scary experiences. I remember shutting down my own clairvoyance around the age of 5, after seeing spirits. When I told my mother about these experiences, she seemed really concerned, and almost a bit disturbed about it. I took that on board and as a result I just stopped seeing the energies around me. Later on, I had to work to open up my clairvoyance. And so below I have outlined 3 methods I used successfully to stimulate and develop mine. Did you know that crystals can be a powerful aid for developing clairvoyance? It sounded far-fetched to me when I first heard about it, but now I am a convert. It was rather heavy so I didn’t wear it much, instead I used to place it over my third eye at night, because I read somewhere that putting crystals over the third eye chakra can be good for opening up psychic abilities. 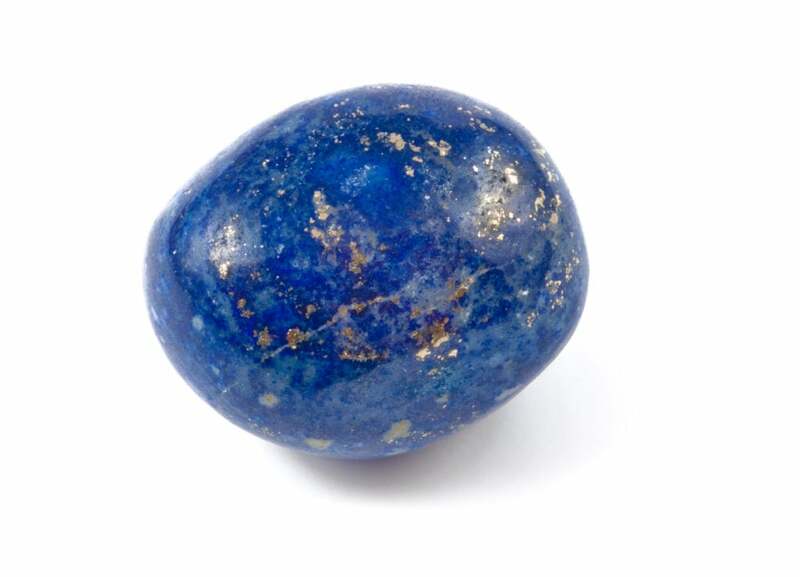 One night after using my lapis lazuli, I felt like something or someone was trying to wake me up by bumping me on the head. When I did wake up, I saw there was a spirit with me. He was presenting as a man with dark hair and a beard – I could see him very clearly in my mind’s eye. In a flash, he showed me a very specific scenario, which was almost like a movie scene – in this scene, the spirit of this man was in a camper van or an RV with a woman who seemed to be his wife. He showed me that he was leaving the camper van. The next thing he showed me, was that my boss at the language school was getting into the van with this woman, essentially replacing the spirit as her husband. The spirit then said to me: “I wasn’t able to take my wife on holiday in our camper van, but I am so happy your boss did”. I was quite puzzled by this message – I didn’t know anything about my boss’s personal life but I did know that he was open to spiritual stuff. And I felt it had to be meaningful. So in the morning I put aside my apprehensions and told my boss what I had ‘seen’ the night before. He explained that the spirit was undoubtedly his wife’s first husband, who had died of cancer at a young age. My boss’s wife and her first husband (i.e. the spirit I encountered) were planning to spend an extended period of time travelling around the US in an RV when he became ill. And of course, they sadly never got a chance to go on that trip as he passed away. When she met her second husband – my boss – they went on that trip that she had been unable to go on with her first husband. This was just one of the crazy clairvoyant experiences I had when using lapis lazuli to open up my third eye. In case you’re wondering what I did, I used to lie down and leave it on my third eye for about 20 minutes. I would then meditate for a while with this crystal sitting over my third eye – I remember it would get a bit hot and tingly! Other crystals believed to be effective for opening up clairvoyance include amethyst and fluorite. Bear in mind that different crystals work for different people, so if you’re interested in using crystals to open up your clairvoyance, you might like to go into a crystal shop with the intention of finding the right stone to help you. You may feel attracted to one crystal in particular. And if you want more on the science of how and why crystals work, you may be interested in this book: Crystal Grids: How and Why They Work: A Science-Based, Yet Practical Guide. Did you know that daydreaming and visualising helps to open up your clairvoyant abilities? Anything that uses your imagination is helpful, because your imagination is the ‘equipment’ Spirit uses to send you images inside your mind’s eye. And the more well-oiled your ‘imagination cogs’ are, the easier it is for spirit to send you clear images. So what should you visualize? You can visualise anything. Start by visualising the day you want to have tomorrow. 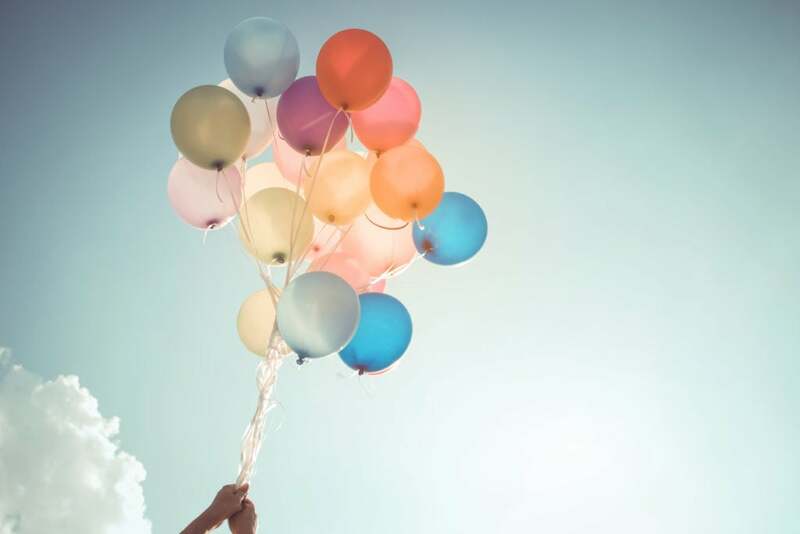 I would see myself holding seven balloons, each one a colour of the rainbow. Then I would visualise myself releasing the balloons one by one, starting with the red one. I would see it floating up, into the blue sky before disappearing. Then I’d release the next one. All of this visualising takes place in your mind’s eye, which is like the blank space or ‘movie screen’ inside your mind when you shut your eyes. Note that if you’re new to visualizing, you might find it really difficult. It is like a muscle – the more you use it, the stronger it gets. Clairvoyants are people who have very strong visualising muscles – either because they have developed those ‘muscles’ or because they were born that way. Now let’s look at the third way you can open up your clairvoyance! 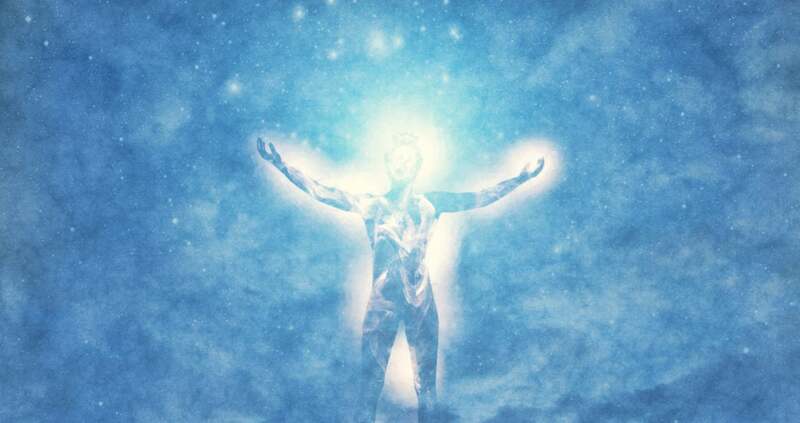 The aura is the outline of the energy body – it often looks like a white energy emanating from the person’s head and shoulders. You can see it depicted in many pieces of art, in which spiritual teachers and religious figures have halos around their heads. Some people see colours in the aura. Others just see the white or golden energy of the auric field. We are most likely to see auras without even trying when we are staring at someone for a long time – someone who is sitting against a white background, when we are in a relaxed state. 1. Find a partner for this exercise and ask them to sit or stand against a white background, in a softly lit room. 2. Relax your eyes and look at one area of the person’s face, such as the mouth or nose. 3. At the same time, use your peripheral vision to look at the outline of the person’s body. Continue to stare at their nose/mouth while you do this. It may take a few minutes to see the aura. Take your time. If you are not successful on the first go, keep trying! I find that this exercise is very dependent on the lighting and on the white background. 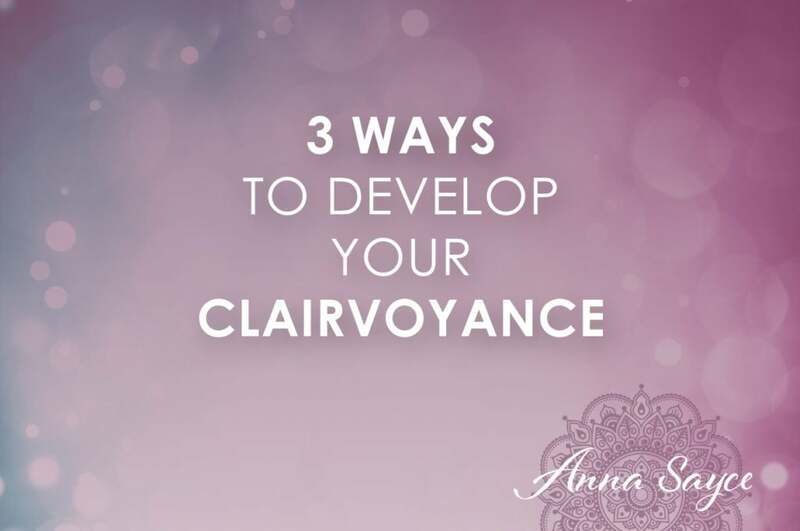 Just a final note – if you are developing your clairvoyance, remember that you will also need to have well honed clairaudience or claircognizance, so that you can interpret the messages you get visually. Please share your experiences with your clairvoyance in the comments. PS. If you are interested in developing your intuitive gifts & would like a step-by-step process for doing so, why not check out my Intuitive Awakening Course? Will clairvoyance, stuff like that, help us for soul realization or God realization especially for a reiki healer? I’m big on visualization, daydreaming, I’m also incredibly creative, and empathic. This article is amazing. Thanks so much for all these great articles on how to develop clairvoyance etc! Awesome and very very helpful!!! Me I never could see anything and I was a hooooorrible visualizer, so for other reasons than developing clairvoyance ( since I did not even believe in that) I start learning to visualize. I literally painted colors and try to visualize them, I tried then when I read to really consciously to visualize what I was reading, so I did all that for a long time and now I am an amazing visualizer and yes my clarvoiance has been opening up a lot! So yes to visualize helps huge, it did to me 🙂 When I am connected I see guides, angels, my higher self, lights in the body, is awesome, and of course because I see it now I believe in it 100%,! But Anna here is my question, sometimes when someone does a healing on me or I do it in myself, I see also in my minds eye like seems the nerves in my body all light or the DNA strand sometimes, but I never heard anybody seeing these things so I don’t know what to do with it? I feel a strong call for doing healing but I don’t know how to use that, I do not see chakras yet, but I see sometimes if there is dirty energy, have you heard of anybody that sees what it seems nerves in the body as light, or any advice how can I use that ? Seeing spirits is a bit scary and because of taboo on this subject, I repressed this gift. Often I blame my imagination for seeing evil in some people….leaving me with no option but to pay. I avoid looking at horror movies and any unpleasant images because they do not easily get removed. This leaves me with a sense of duty to keep my environment ‘clean’ so to speak. Thanks for the information. Hi Anna, I love reading your blogs! 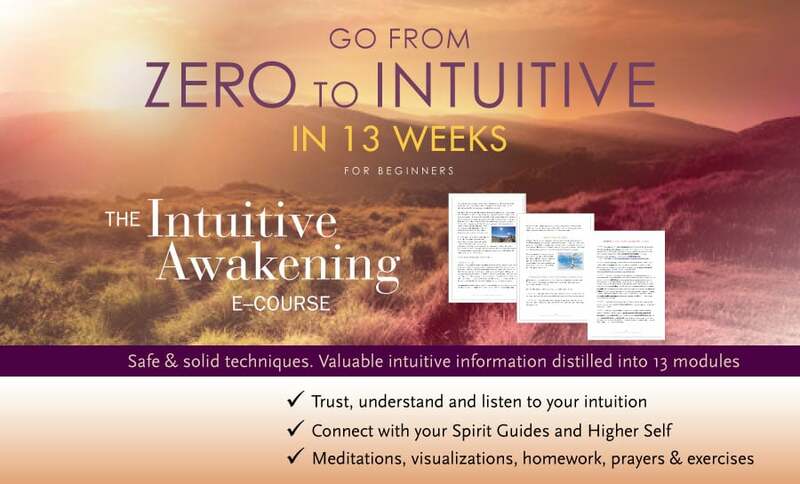 I recently completed your Intuitive Awareness online course, which I thoroughly enjoyed. During this course, I had a dream that I was sitting at a table opposite you Anna. You looked at me and said ‘you are clairvoyant’. Many years ago, I used to wake up at night sensing a presence, and upon opening my eyes I would see a spirit approaching me. I would freak out, even though they did not appear harmful. These experiences did repress this ability. I am continually working to open this ability again…although I am still a little fearful of meeting spirits. I have been calling on ArchAngel Michael for protection (this was a message received in another dream to call on him). Any advice on how to raise above this fear? Thank you Anna for the great article! Loved every word and am gonna go and practice with the Lapis! I’d like to say to Esperanza to look into medical intuition. Anna may be able to help you, but there are also people like Dr. Mona Lisa Shulz who specialize in this. I’ve had some experiences like that too. Once when my son was sick in the hospital and they didn’t know what was going with him and I was falling asleep one night I saw an image of a strand of DNA. The next morning the nurse told us that they believed that our son had a type of flu, but that there wasn’t anything they could do to get rid of it because flu is not live, but were strands of dead DNA. She said more than this, but it really surprised me and validated what I “saw” the night before. Hi Anna best greetings to you. Thank you for the article. Clairvoyance is very interesting something i may need work practicing with. Empathy im strong with and it seems like telepathy as well. Im wondering if i am closing my charkas correctly? I have been feeling a great disconect with everything here lately. Hi Mithun – I am not 100% sure what is meant by God realisation. The purpose of developing clairvoyance is to receive guidance from your Higher self, Spirit Guides, and Guardian angels. So you can live in alignment with spiritual values, which for me personally is about having more peace, meaning, and empowerment in my life. Hi Esperanza – Glad to hear you have benefited from visualising and enjoyed the Chakra Meditation! Re. seeing dirty energy/nerves etc, I wonder whether you are good at picking up psychic info around peoples’ healing (different psychics have a tendency to pick up different things.) Could also mean that you are a healer. Hi Sophia – Oh how funny – might have been a little guidance from Spirit about where your gifts lie?! Hi Irene – Very cool – thanks for commenting! My favorite vision happened during a mediumship reading I was giving a lady. I saw a tall lady hunched over running directly at me with a lit cigarette planted right in the middle of her lips and she was puffing it like a locomotive. I was hearing a chug chug sound while it happened. I could not help but laugh but that broke the connection. I described the scene to the woman and she said it was her mother who died from lung cancer. I will never forget that vision!